Just a short check in today, I thought I’d give you a quick run down of a few bits I’ve picked up recently ready for my holiday to Budapest in July. I know it seems a bit early to be buying holiday things but have you ever had (non) buyers regret? You decide to pick up an item at a later date and when that later date comes, said item is sold out- it’s the pre-holiday nightmare we all wish to avoid. 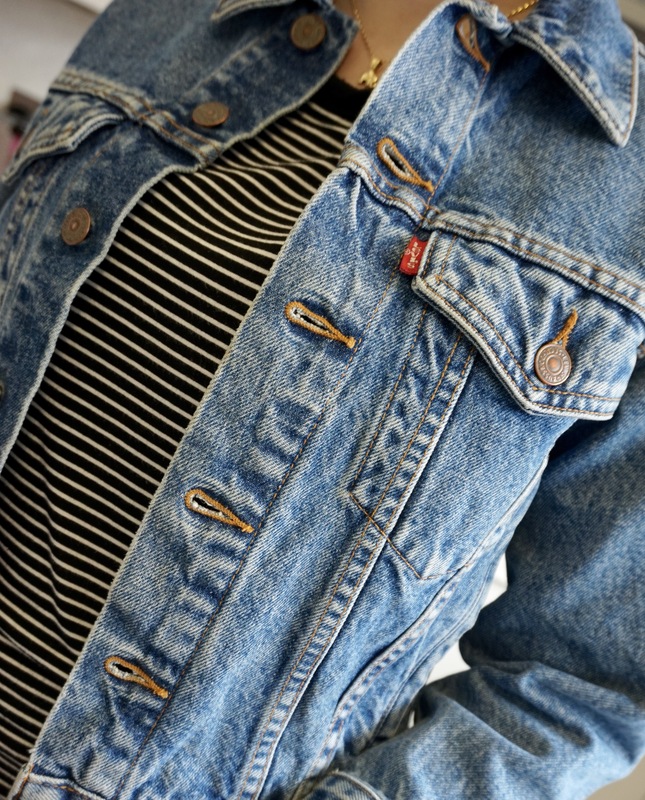 Firstly I grabbed myself a new Denim Jacket, I say new, its actually from Brag Vintage, so it’s probably very old, but it’s new to me so that will do. As I mentioned in my Sunday Funday post, I managed to grab this Levi bargain for £22 to fill that denim shaped hole in my life that I’ve had since 2014. 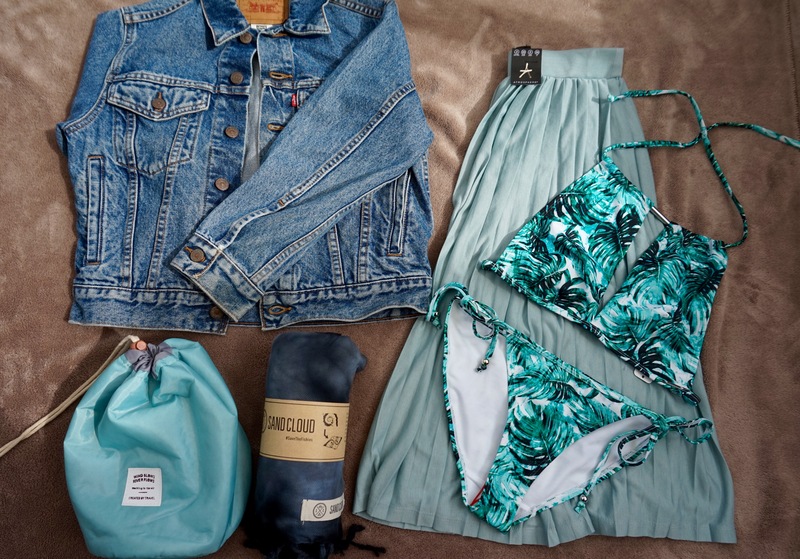 This is perfect for holiday time as it’s a light denim, not too dark and wintery. It’s also not too bulky and is easy to travel in. It’s the perfect weight to chuck on at night if the evening air gets a bit chilly when you go out for a meal, everyone who knows me will be aware of how nesh I am so an evening jacket is a must for me. What’s more denim goes with ANYTHING and I mean anything, if you take this away you don’t actually need to pack anything else in the coat department, pair it with a skirt, a dress, you could even double denim. This will be a Budapest essential for sure as I’m a bit unsure about the climate at the moment (I need to do some more investigation). Next up, another wearable. When I went shopping the other day I decided to treat myself to a new Bikini, I’m trying not to buy too much unnecessary stuff just for the sake of it, and you may be thinking, why the hell do I need a bikini in Hungary- hear me out. So I basically returned from Malia last summer with only one bikini still fit for wearing after a water park, a beach party, a paint party and 10 days lounging by the pool, I have since worn said bikini multiple times to go swimming at home so I’ve had my money’s worth. I wanted to have some nice swimwear to hopefully visit the outdoor baths in the city or even just for using the hotel pool- basically I wanted it okay? And here I am trying to justify it to you but also myself. This Cuba Crop Bikini Top and Bottoms are from Boux Avenue, meaning it comes in a good size range and offers support and keeps all your naughty bits covered up unlike those £3 Primark numbers that have a tendency to rip/ unravel/ cause major poolside humiliation. Personally I don’t think £30 is that bad for a bikini in a decent material, with a pretty pattern and that I know fits me well. I also decided to treat myself to a new beach towel/cover up, for the same reasons as the bikini- I ruined all my beach attire in Crete. 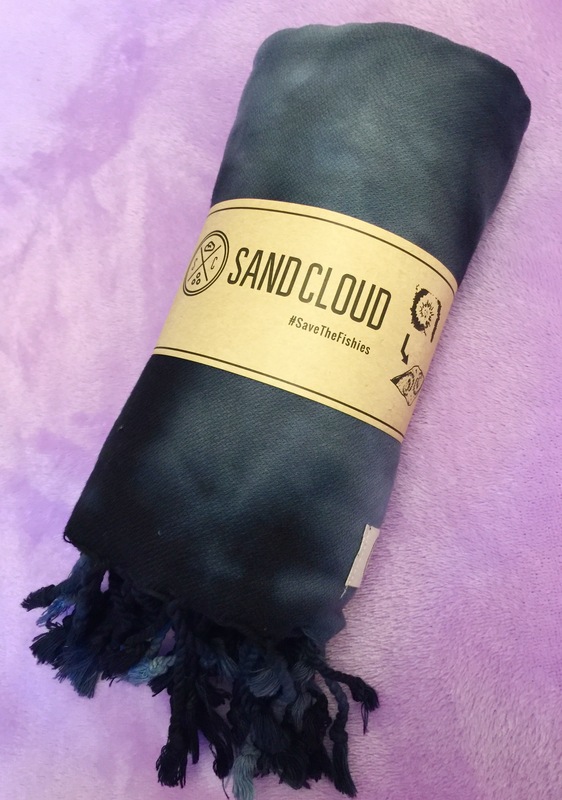 This Black Acid Wash Towel* is from a brand called Sand Cloud. I was keen to invest slightly more in a more environmentally smart purchase as the company gives some of its profits to marine conservation to save our oceans and it’s fishies. I’m trying really hard to make more worthwhile, long lasting purchases so this seemed like a good place to start. Despite being shipped from America, delivery was speedy and I didn’t have to pay any sneaky customs charges at the Post Office either. Even if you aren’t off to the beach this Summer, the material would be great for a Picnic Blanket or wrap for a more chilly evening at a BBQ. There’s loads of sizes and patterns available, not to mention an array of other products (I have my eye on the short sleeve t-shirts). If you guys want to check out any of their products, you can use my affiliate code MeganHarv25 for 25% off your whole basket at checkout to save the fishies for slightly less. Next up, a slightly more feminine wardrobe choice then I would normally make. This minty ribbed midi skirt will hopefully help inject a bit of colour into my summer holiday wardrobe. Long enough so you don’t accidently flash your knickers in a gust of wind but short enough to show off those gorgeous sandals you’ve been waiting to showcase all year. Now although this is from Primark and I am sometimes sceptical of their quality, this skirt feels heavy and well made and the style and colour make me think I will get a lot of wear out of it so it won’t be a wasteful purchase. Finally my final pre-holiday buy as it stands is this cosmetic/ makeup wash bag from Explorer Foodie over at Travel Better. I already have wash bags but I thought I’d give this a go because one, it’s waterproof in case of any spillages your suitcase remains safe, but also because of how much it can store. We’ve all been there trying to cram just one more bottle into a bag which has a zip threatening to burst. This organiser has a draw string so can be adjusted to size and inside it has elastic loops to hold all your bottles upright and to the edges of the circular container. The middle is then left free for smaller bottles or makeup items. I like to be organised when I pack so this just appealed to my fussy nature. I stumbled across this product on Facebook one day and I’m really glad I did, it only cost me a tenner and I also got free delivery on a promotional offer so even better- another American order. So not a crazy haul but enough to feel like sharing it and all of which I’m happy with and can’t wait to take away with me. Let me know if you have any new purchases ready for any upcoming trips. Disclaimer: Products marked with an * are linked with affiliates but all thoughts and opinions are my own. I love the swim suit!